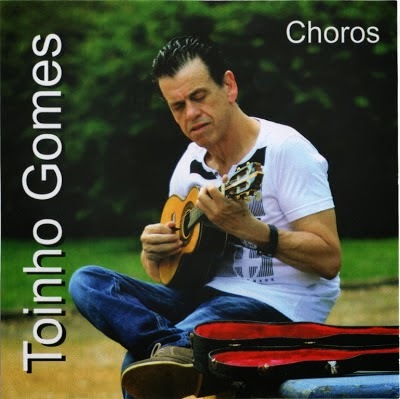 While searching SoundCloud for choro recordings I had the good fortune to find some uploaded streams by Toinho Gomes, among these were the music recorded at the shown CD above. The CD is available as mp3-files for purchase from both Amazon and CD Baby Music Store. I highly recommend this issue, if you are looking for magnificent choro recordings in the great tradition from Época de Ouro a.o..
Toinho Gomes (b.1953) is from Minas Gerais, Brazil, and a selftaught cavaquinista, who also composes. 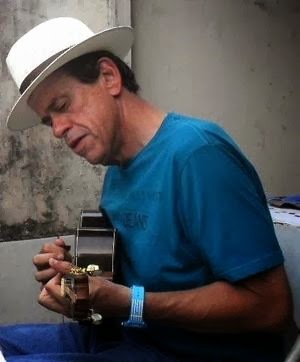 The CD has 16 tracks of compositions by Toinho Gomes, his work as a composer of choros has earned him critical applause from many authorities in this idiom, a.o. Henrique Cazes and Reco do Bandolim, who considered Toinho Gomes as one of the greatest composers of choro in Minas Gerais. 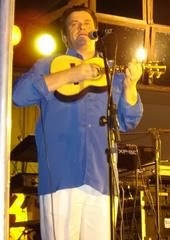 In 2001, one of the compositions available on the CD,'No Boteco do Hélio', was a finalist of the Festival Chorando no Rio, held by the Museu da Imagem e do Som, and in 2011 another composition by Gomes, 'Antônio Caetano' (-also available on the CD), was a semifinalist of the Festival Choro Novo, conducted by Brasil com S, in Belo Horizonte. 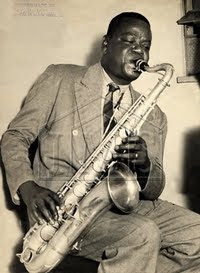 On the shown CD Toinho Gomes is accompanied by recognized soloists like Ausier Vinicius and Márcio Almeida Hulk on cavaquinho, Ronaldo do Bandolim (Trio Madeira Brasil and Época de Ouro) and Tiago Souza (Regional Carioca) on bandolim, saxophonist Daniela Spielmann (Rabo de Lagarixa), clarinetist Rui Alvim (Água de Moringa), flutist Alexandre Maionese, trombonist Fabiano Segalote, the trumpeter Silverio Pontes and accordionist Kiko Horta. 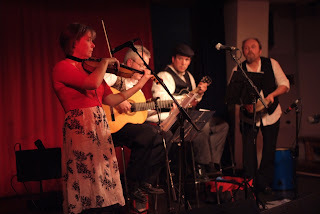 The basic team includes the seven-string guitar player Toni Sete Cordas (Época de Ouro), the six-string guitar player Rogério Souza (Nó em Pingo d'Água) , the cavaquinho base player Márcio Almeida Hulk and the percussionist Márcio Gomes. - To give you an impression of the recorded compositions by Toinho Gomes, I'll insert a couple of uploaded videos from YouTube, here is first the crtical acclaimed 'No Boteco do Hélio' with still footage from the recording of the CD - enjoy! It's an amazing and joyful experience to be listening to the compositions by Toinho Gomes, and if the above short review has caught your interest, don't hesitate to visit CD Baby or Amazon to buy your mp3 copy of the CD today. Thanks Jo for sharing ths great entry.